It’s the second weekend of the Lake George Winter Carnival, but that’s not all! Two ice bars are open this weekend, there are three more happening events, and we’ve got all the info for you to get ready to have an awesome Valentine’s Day next week. 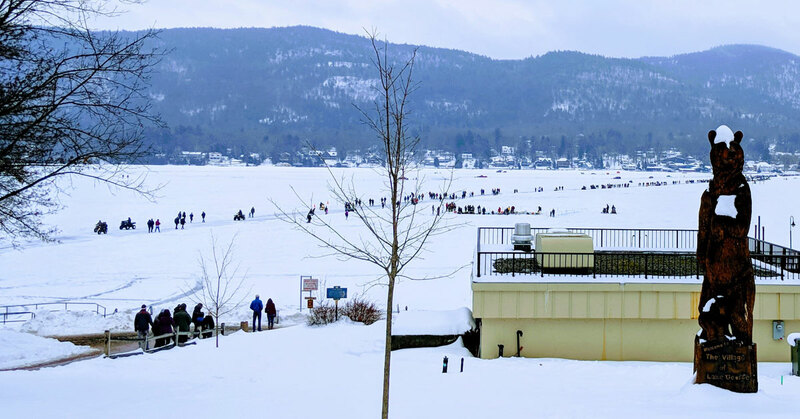 The Lake George Winter Carnival continues! Come out for a full day of fun, starting with an ATV Poker Run at 9am on Saturday, finishing off with a Do You Wanna Build a Snowman contest at 3pm on Sunday, and a ton of activities in between. Editor’s Note 02/08/19: The sanctioned car races on the ice have been cancelled for Saturday, but are still on for Sunday. Did you know? The Lake George Winter Carnival is going beyond Lake George to offer snocross racing in Warrensburg. It costs $12 per day or $20 for the weekend and there will be giveaways for spectators, food, and more. Trail riders welcome. 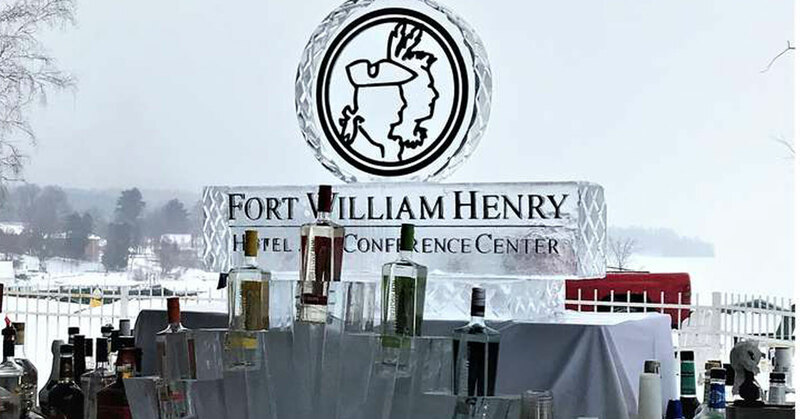 Head to Fort William Henry for their annual ice bar. They’ll have hot soup, delicious drinks, and ice sculptures. 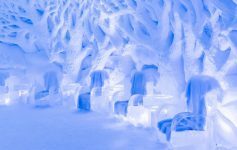 You’ll also want to stop by the incredible ice bar at the Lake George Beach Club while you’re out and about at the winter carnival. 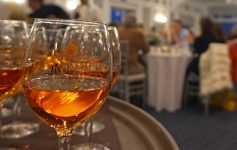 Dunham’s Bay Resort is hosting their annual 4s4Life fundraising event with entertainment, cocktails, appetizers, raffles, and more. Tickets are $60 or $110 for couples. 4s4Life works to raise awareness for suicide, bullying, addiction, and more. Snowmobilers ride for a cure at the Boar’s Nest Bar & Grill in Fort Ann this Saturday for their 11th annual Purple Ribbon Cancer Ride. It’s free to ride, donations are greatly appreciated. It’s hard to believe, but Valentine’s Day is next week! 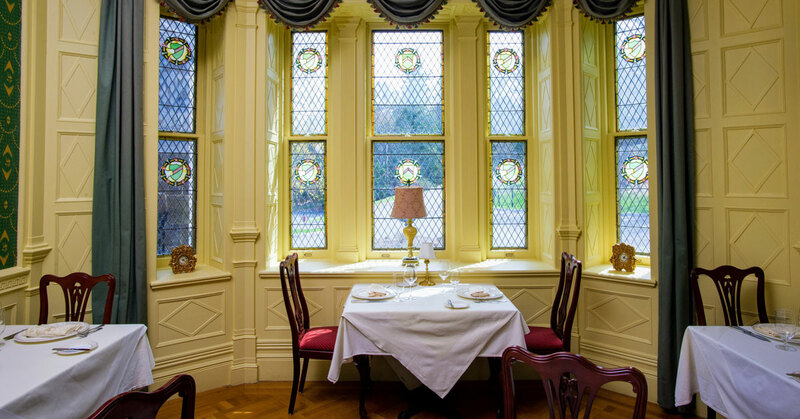 Even if you don’t normally do something big for this holiday consider a dinner out this year, or a mini getaway at one of Lake George’s many fantastic lodging options. The above picture is at the Inn at Erlowest, which is currently offering a dine and stay special. 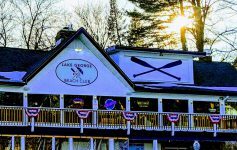 Previous Article Get Ready for the Winter Carnival & More Weekend Fun in Lake George!